This tapped into emotions no other book has done with me before. Donna Tartt is a true enigma. She is a phenomenal bestseller with a cult following. There isn’t very much known about her but you wouldn’t call her a reclusive author either. The Goldfinch is her third novel in twenty years, a decade gap between each book. All of them worth the wait. I can distinctly remember first discovering Donna Tartt. When I first started doing the buying 11 years ago there was a lot of fuss about a novel called The Little Friend because it was the author’s first book since The Secret History. I had no idea who the author was or why, after ten years, there was such excitement and anticipation for her second novel. My rep, who was selling the book in at the time, told me to read The Secret History. Which of course I did and was totally blown away. It was unlike anything I had read before (or since). I am not big on classics, ancient or modern, but the world Tartt created in The Secret History sucked me straight in (just like the book’s protagonist Richard). She is one of the few writers whose writing is truly mesmerizing. I was straight on the bandwagon after that, dying for a copy of The Little Friend. Which I also loved. A lot of Donna Tartt fans were disappointed with The Little Friend but I was not one of them. I think people were expecting another The Secret History which was always going to be impossible and Tartt gave us something completely different. The Little Friend is a bit of a modern-day To Kill A Mockingbird without the anchor of a parent and where the outside world is full of much more menace. 12-year-old Harriet, bright and bookish, believes she can solve the mysterious death of her younger brother 12 years ago. The death fractured her family and Harriet is determined to set things right. Again Tartt’s writing is captivating and I can still vividly remember a scene involving Harriet’s best friend Hely and some snakes. I later found out that Harriet was inspired by Mattie Ross in True Grit by Charles Portis, one of Donna Tartt’s favourite books growing up,which also has another unforgettable scene involving snakes. In many ways The Goldfinch is a combination of elements of her first two novels but the only thing familiar is the once again mesmerizing writing that draws you into her world immediately. When I first started The Goldfinch it felt like I was holding my breath and when I came up for air the first thing I wanted to do was re-read The Secret History and The Little Friend. I’d forgotten the power of Tartt’s writing and wanted to re-immerse myself in as much of it as I could find. And then I plunged back into The Goldfinch. 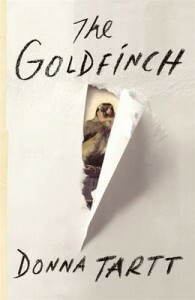 The central character of the novel is Theo Decker and a painting called The Goldfinch. Through traumatic circumstances the painting comes into his possession and becomes a talisman throughout his life. I am not into art or paintings but Tartt has this ability to draw you into any subject, in very detailed and extraordinarily intriguing ways (including antique furniture and its restoration!). The book is almost 800 pages, every one of which is totally absorbing, compelling and majestic. 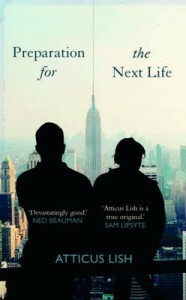 Unlike Tartt’s previous two novels this story is also wide-ranging, from New York to Las Vegas and Amsterdam. The Secret History and The Little Friend were very localized stories where as The Goldfinch is much more spread out while still hauntingly focused. It is also very philosophical and tapped into emotions no other book has done with me before. I hope we do not have to wait another ten years before getting to read Donna Tartt again but then again she can take as long as she wants. In the meantime I am going to revisit her first two books something I should have done before now but that’s the magic and the joy of great books. They are always there to be enjoyed again and again, even when you forget! A true book to digest, discuss and deliberate upon by a writer like no other. Marisha Pessl burst onto the literary scene in 2006 with the unforgettably titled Special Topics In Calamity Physics. Comparisons to Donna Tartt abounded and unlike many others Pessl lived up to the comparisons but also carved out her own wonderfully distinct style. I adored the book and it was a very pleasant surprise to find her new novel suddenly pop up on the release schedule. 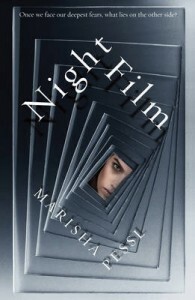 Night Film is a wild ride of a novel and I was amazed by the interactivity built into the story. Apparently there is also an app coming that enables the reader to engage even more, all of which only immerses you as a reader into a world that already blurs fact and fiction and is dotted with clues hidden and dangled in front of your eyes.